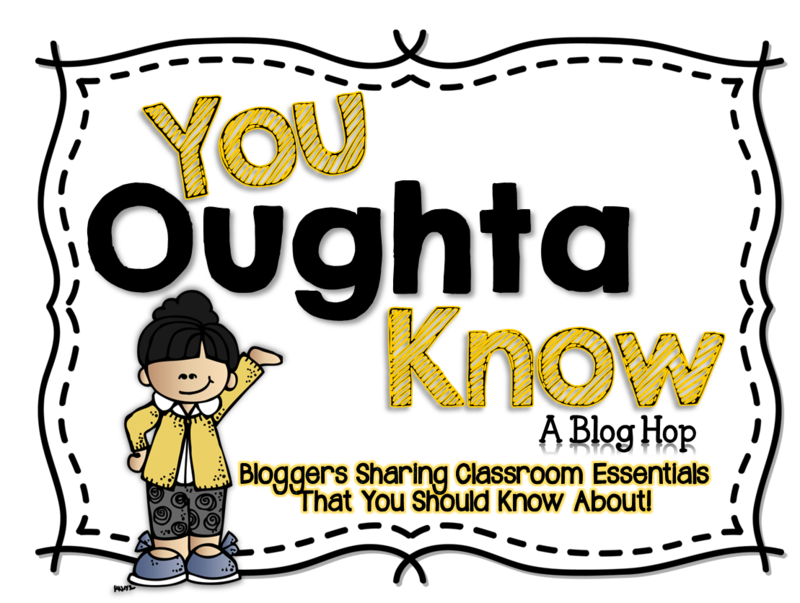 Join us for a blog hop to learn lots of great things you oughta know for your classroom! You Oughta Know About Building a Community! -Floating Hula Hoop, This activity sounds simple, but it’s great for communicating and working together. Divide the class into groups of 4 or 5. Have the group form a circle facing the center. Ask then to hold out their index finger. Place a hula hoop on their fingers. Their job is to lower the hula hoop to the ground without dropping it. They have a tendency to go up instead of down. It will take some communication to get the hoop to the ground. -Hula Hoop Pass, The object of this activity is to pass hula hoop all the way around the circle. You can have kids stand in one large circle or divide the class into two circles. Student face the center and hold hands. Choose two people to open their hands and place the hula hoop their to start the activity. The kids have to move the hoop over their body and pass it on to the next person. Others can give encouragement and suggestions if the hula hoop gets stuck. -Balloon Caterpillar Race, Have students form 4 lines with 5 to 6 students in each line. Students should all be facing forward with the lead students behind a start line. Place an inflated balloon between each person. When you say go, the entire line must cross the finish line without dropping any balloons. If they drop a balloon they need to go back to the start and begin again. 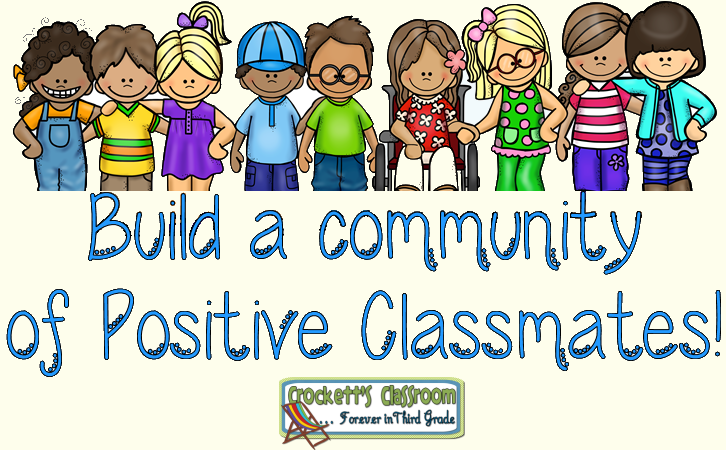 Another way to begin building a community is to brainstorm what it takes to be a positive classmate. Use a chart like this to brainstorm the characteristics of a positive team member. You can download a copy of the blank chart here. Since it is a pdf file you can print it poster size. I made mine 200% of the original. Then I glued the six pages together to make the poster for our class discussion. I also make a single page copy for every student so they can make their own chart along with you. 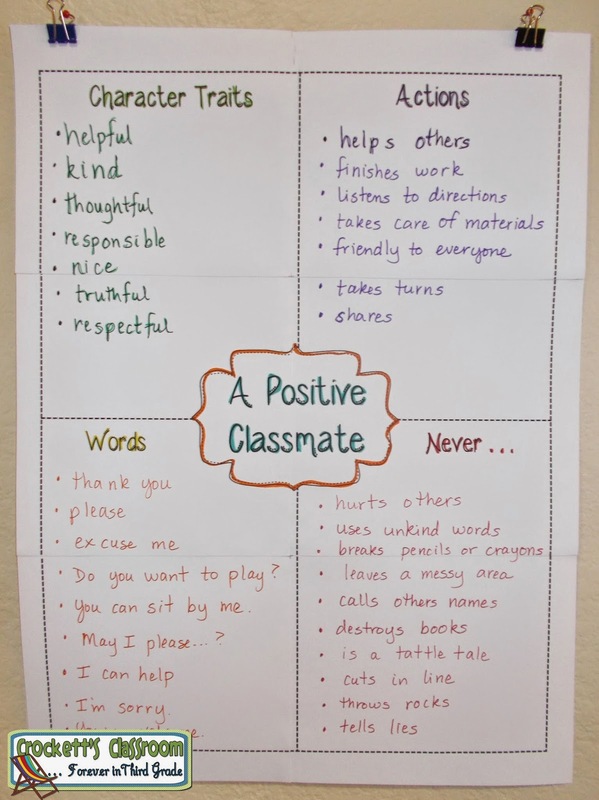 Once the students understand what makes a positive classmate tell them the class will earn a reward for showing all these characteristics. Using the letters SPARKLE, which stand for Students who are Prepared, Attentive, Respectful, Responsible and Keep Learning Everyday!, put up one letter every time the whole class is following the guidelines for being a positive classmate. When they earn all 7 letters the class has earned the special reward. You can choose the reward or let the class brainstorm a possible list. You can download the letters here. 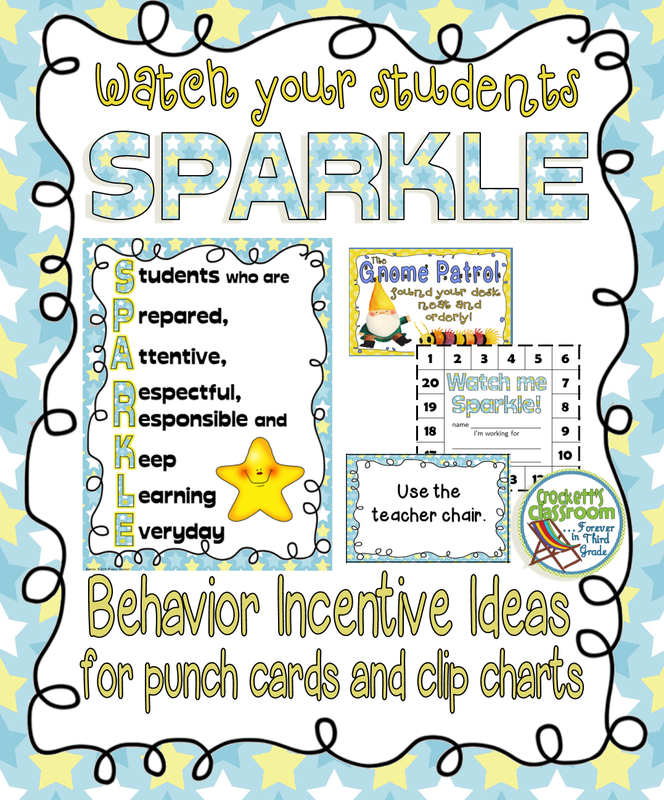 For more ways to help your kids SPARKLE check out the entire product in my TPT store.